** ADOPTED!! 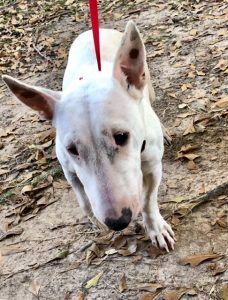 ** Jovie is a little 25 pound mini bull who was found stray. She is very well mannered, sweet and gentle. Jovie is now fully vetted and ready for a loving family. Her foster mom says she is a super sweet loving girl, who is getting along nicely with the resident bullie.